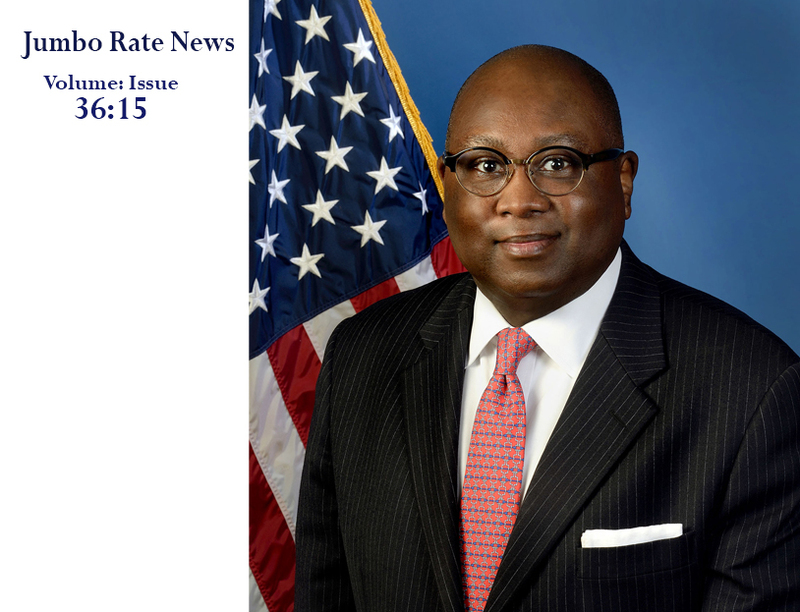 On April 8th, Rodney E. Hood was sworn in as the 11th Chairman of the National Credit Union Administration (NCUA). The North Carolina native has an extensive background in both the public and private sectors, including a previous stint on the NCUA Board (from November 2005—August 2009). He served as the NCUA’s representative on the board of NeighborWorks America, a 40 year-old, nonpartisan, non-profit that strives “to make every community a place of opportunity”. Mr. Hood’s work extends from Community Reinvestment (CRA) at Big Banks to addressing housing needs at the U.S. Department of Agriculture to serving an the Board of Governors for University of North Carolina College System. Given his history and commitment to affordable housing, we have no doubt that Mr. Hood will use the next four years to address housing needs. We also expect his tenure to foster small business and prosperity in communities that are currently underserved by the financial sector. We don’t know how instrumental Mr. Hood was in relation to the 41% increase in member business loans during the period 2007 to 2010, but we do know he was on the NCUA Board for most of that time. We also know that commercial loans at the nation’s banks decreased by 13% during that same timeframe. While correlation does not equal causation, we suspect that prudent business lending will take off again under his watch. 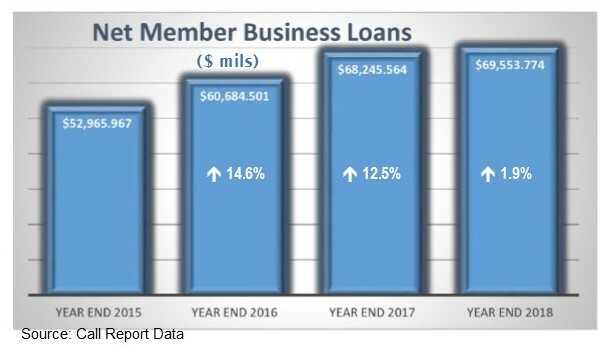 After a decade of robust growth, member business loans (MBLs) at the nation’s credit unions have evened out (see chart below.) In fact, at the end of 2016 35.6% of the CU industry was offering MBLs. By the end of 2018, that was down to 31.5%. While the dollar volume outstanding for MBLs continues to rise, the increase was a paltry 1.9% in 2018. In fact, in relation to credit union growth in general, MBLs are lagging. In 2007 MBLs accounted for 3.5% of total assets; today they still represent less than 5% and they represent less than they did a year ago. However, it is no longer an apples to apples comparison. In 2017, the NCUA modernized its policies in regards to business and commercial loans. In the course of that modernization, new definitions were provided that created two similar, but not equal categories. One for commercial loans, the other for MBLs. Under the new MBL definition, a loan with a balance under $50,000 may not be reported as a MBL, even if that same loan was reported as a MBL the previous year when the balance exceeded $50,000. For that reason, we listed the 50 C.U.s with the highest dollar volume of MBLs on their books for the list on page 7, rather than looking at those with most growth. Commercial loans have similar caveats, but we had to pick one. Bauer expects both to move on similar paths, and also believes Mr. Hood can make that path be toward growth. In addition to providing credit to members and small business owners who otherwise may not have access, commercial loans, MBLs, or any loans for that matter (when properly underwritten) can prove very useful. · Replace other lost income. So, we extend a hearty welcome to Mr. Hood and know that his success will be contagious.